Don't eat all of your Halloween candy! 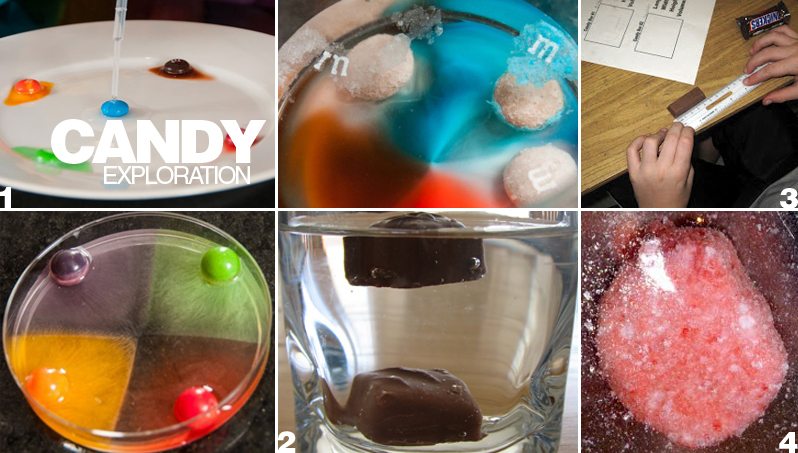 Instead, create a candy exploration lab! 1. Steve Spangler - Skittles Chromatography, Floating M's, Gobstopper Color Separation, and more candy chemistry! 2. Science Matters - Candybar Density - Do nuts make a difference? 3. Classroom Magic - Volume of funsize candybars, plus free printable for the activity!